Italy’s banks we’re substantial under-performers Friday, off nearly 20% over the last 3 trading sessions. As we stressed last year to subscribers, zombie banks in Europe hold over $1T of bad debts, Italy’s stake of smelly loans is near $400B. Italy is considering a 40 billion euros ($44 billion) bailout of it’s banking system. The government would sell debt to fund the capital injections and is talks with the European Commission, Il Fatto said. Governments can provide funds directly to banks in exceptional circumstances of systemic stress, which Italy would cite as a reason for its intervention in the aftermath of Brexit, the Italian daily newspaper reported. Italy’s lenders are over-loaded with 360 billion euros of bad debt, while profit is also squeezed by record-low interest rates and sluggish economic growth. The plunging in financial markets continued Monday. The pound extending its record one-day selloff after the U.K.’s vote to exit the European Union threw British politics into turmoil, fueling anxiety over the decision’s impact on the wider global economy. – Wall St has gone from entirely Yen Bears to Bulls: the Yen Brexit Surge is Seen Testing 95 in Threat to BOJ Stimulus Goals. – In panic mode, HSBC changes their year-end dollar-yen target to 95 from 115, Goldman had a 125 dollar yen target in December, she touched 100 on Friday. Every 1 handle move in the yen’s stronger currency, costs companies in Japan nearly $15m, the Bank of Japan will be forced to act, yet again. China weakened its currency fixing by the most since last August as global market turmoil spurred by Britain’s vote to leave the European Union sent the dollar surging. After levering up for 8 years, central banks have brought the world on the brink of recession. Bank of Japan sets emergency meeting tonight. Hillary Clinton, speaking in Indianopolis at Conference of Mayors, said U.S. will also recover “from all the other shocks that are in the system” after saying Americans lost about $100b from their 401ks following the U.K.’s Brexit vote. Front Month VIX Futures surged up to 22.50 while 8 months out stand at 22.67, the curve is nearly inverted, a classic sign of severe panic. The rout in riskier assets picked up where it left off Friday, with the Australian dollar slipping with the euro as as U.S. and Japanese index futures fell with New Zealand shares. The Norwegian krone tumbled more than 2 percent as oil dropped a second day. Sterling sank beyond $1.35, extending losses near weakest level since 1985 as investors face months of uncertainty over Britain’s future amid turmoil within the two major political parties and Scotland agitating anew for independence. Angst boosted the yen and gold, amid demand for havens following the worst day for global stocks in almost five years. Its so disingenuous. We must all deal with the reality of what were up against. Since the Federal Reserve started to taper their monetary goodie bag, stocks have gone no where, while a few names FANG (Facebook, Amazon, Netflix and Google) have hogged all the returns. Facebook is up 51% since November 7, 2014 while the S&P 500 is unched. Amazon is up 98% since October 29, 2013 while the Russell 2000 is unched. Google is up 23% since October 30, 2014 while the Dow Jones Industrial Average is unched. Wall St’s cluelessness over risk management and how it relates to Fed policy never ceases to amaze us. They’re the gang that can’t shoot straight. Central Bankers have been bamboozling Wall St. for far too long. The world’s monetary Gods, our saviors, will meet at the Bank of International Settlements meeting in Basel over the weekend. We have a list of 3 trades focused on their next move, just click on the green link below. As you can see above, the explosion in their balance sheets have had the end result of bringing the global economy to the brink of recession. Prime Minister Rajoy’s People’s Party on track for 116-120 seats in Sunday’s election, according to a Gesop survey published by El Periodic d’Andorra. Spanish government bonds may see more volatility next week after voters go to the polls Sunday to try to break a six-month political deadlock over who will govern the euro region’s fourth-largest economy. 2. European banks are off 47% from their 2016 highs, off 18% yesterday. Central banks are intervening globally in currency action, the Bank of Japan, S Korea, India and Denmark are all believed to have intervened overnight Thursday into Friday’s market price action. The Eurostoxx 50 is fell 9%, that’s nearly 2000 Dow points. 3. Gold is a safe heaven once again, the media lectured us late last year that the metal had lost its security touch, wrong. 4. S&P 500 FUTURES TUMBLED 5.1%, then closed 3.6% lower Friday. 5. We are witnessing a blow off top in panic bond buying, 0.15% for 30 years in Japan. 6. 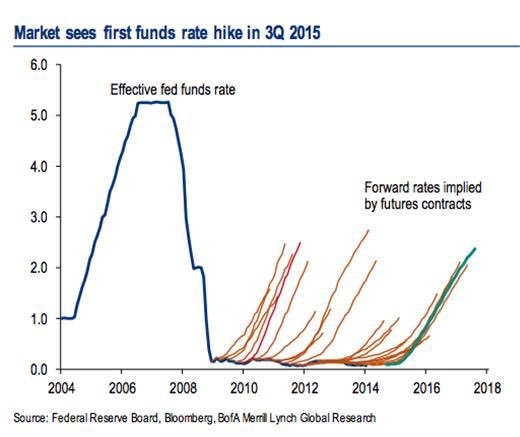 The Fed once again is wearing the dunce hat. US markets are currently pricing out any chance of a tightening (rate hike) this year. U.S. 2 year Treasuries’ yield plunged to 0.53%. 7. Emerging Markets and Oil’s enemy, the global wrecking ball that is the U.S. dollar is back on the march higher. WTI plunged 9.1% from its June high. The pound slumped to the lowest level in 30 years on Friday, tumbling as much as 13%, as investors took fright at Britain’s shock. 9. A Classic Trading Lesson, too Much was Priced in. Too Many investors were on one side of the boat (Bremain) Thursday. Too much was priced into the Bremain trade. Thursday, currency volatility plunged on the pound from 24 to 13, the biggest one day move in the post Lehman era. The market was well priced in for a Bremain. At one point this Thursday if you wanted to trade pound sterling the bid offer reached one big figure 1.49-1.50, she closed at 1.36 now! Leading global currencies shouldn’t trade like biotech stocks, but in a Brexit world full of “over ego filled” central bankers, they do. Puerto Rico: Bogus Claims of Default? A funny thing happened along the way to default, Puerto Ricans started to actually pay their taxes. By some estimates, up to 35% of the countries’ GDP is underground, not accessible to tax collection. Recent data shows this may be starting to change. Government of Puerto Rico revenue for 11 months of Fiscal Year 2016 totals $14.9 million more than estimated in the budget, according to figures released yesterday by Treasury Secretary Juan Zaragoza, calling into question claims that Puerto Rico cannot pay its debts. The U.S. Treasury has been painting a dire picture for Puerto Rico. In an effort to cram down investors, achieve debt forgiveness from bond holders, most investors feel the Treasuries’ recent claims have been unfounded. The territory has collected $8.2 billion, compared with $7.9 billion during the same period of Fiscal Year 2015. The major change in revenue was in the Sales and Use Tax, which was increased from 7% to 11.5% during the year. After payments on bonds issued by the Sales Tax Financing Corporation (COFINA), the levy contributed $1,355.8 billion into the treasury compared with $510.9 million last fiscal year. The amount was $27.1 million more than expected. Individual income taxes were down from $2,106.2 billion to $1,854.3 billion, $10.4 million less than expected. Corporate income taxes edged lower from $1,478.2 billion to $1,434 billion, but were $53.6 million more than budgeted. The 4% tax on products received by companies in the States from their manufacturing subsidiaries in Puerto Rico generated $1,675.7 billion, a bit less than the $1.741.1 billion last year and $24.8 million less than expected. If it was a fight, they’d stop it. Bonds are crushing stocks 2014-16. We have a Swiss bond below, a move 100 to 230 at nosebleed levels. Japanese, German and Swiss bond yields plunged to records, as government debt around the world extended its best gains in two decades, with the prospect of Britain leaving the European Union boosting demand for havens. Brexit Risk is creating extreme panic buying in bonds. They’re jumping over the seats, swinging on the chandeliers, trying to get out through the bath room window, all in an effort to buy bonds. Federal Reserve Chair Janet Yellen fueled the rally by saying Wednesday slow productivity growth and aging societies may keep interest rates at depressed levels. Fewer Fed officials expect the central bank to raise interest rates more than once this year than they did three months ago, based on projections the central bank issued. The Bank of Japan said inflation in the nation may be zero or negative, while holding monetary policy unchanged. EU Banks are now through the February “crisis” lows. It’s just a matter of time before Mr. Market vetoes NIRP or Negative Interest Rate Policy. Negative rates are crucifying European financial institutions as the easy money made on short term net interest margin has vanished. Similar to the GOP establishment and Donald Trump, Central Bankers are confused, don’t understand the risks they’re creating and don’t know what to do next. One of our classic 21 Lehman Systemic Risk Indicators is found in Deutsche Bank 5 year sub CDS. When people are paying up for default protection on a bank this large, beware.